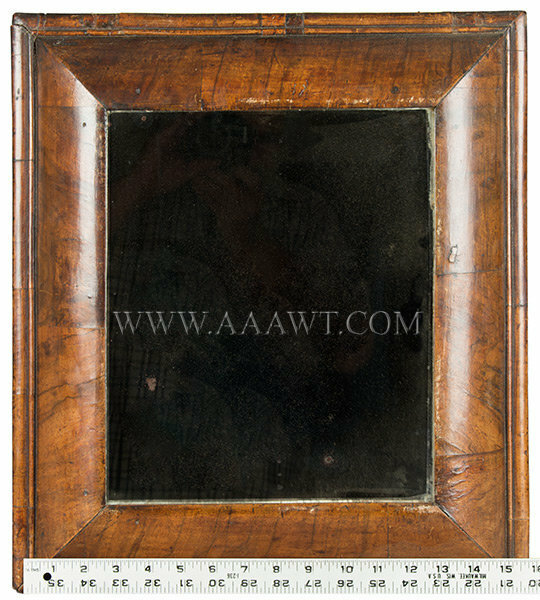 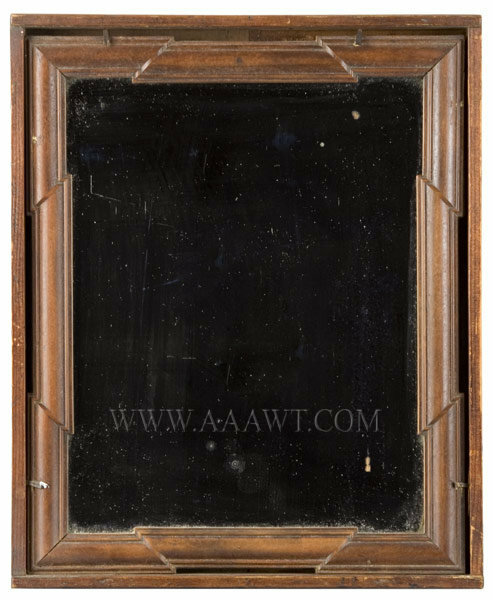 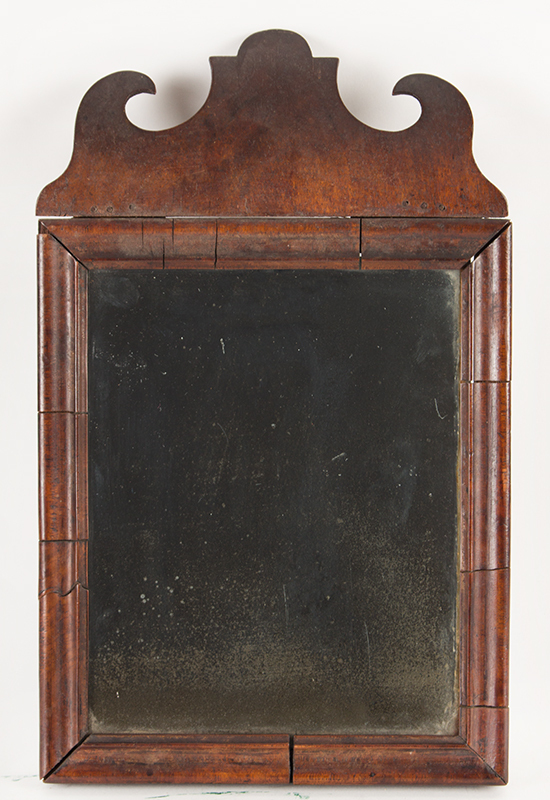 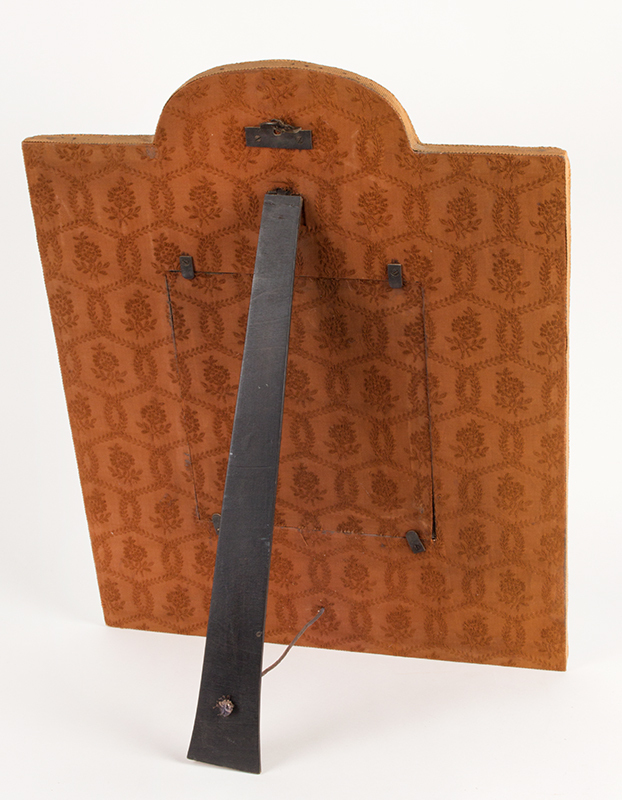 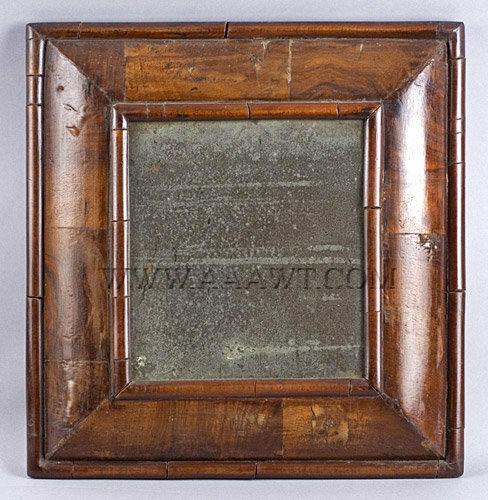 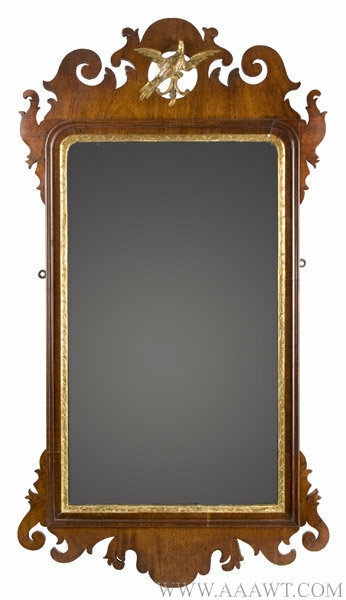 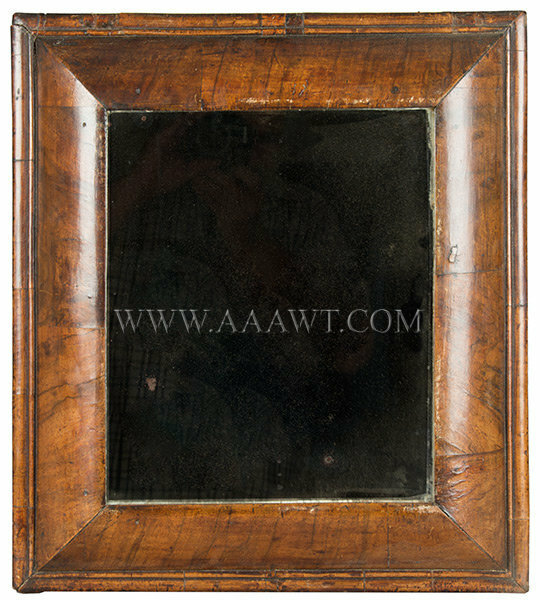 This nearly square example features old, probably original mirror plate within broad ovolo molding centered by sections of half-round molded surrounds. 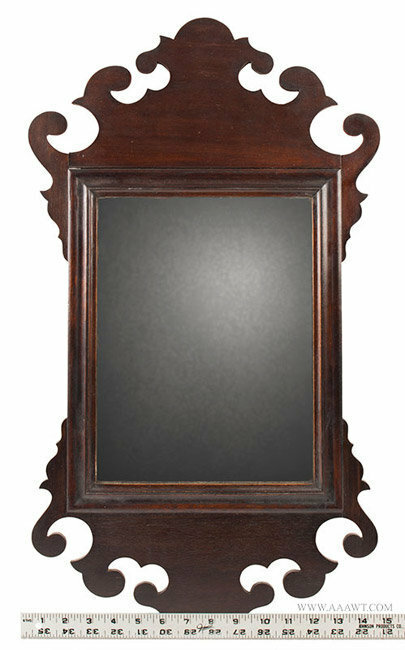 Pine with walnut veneer. 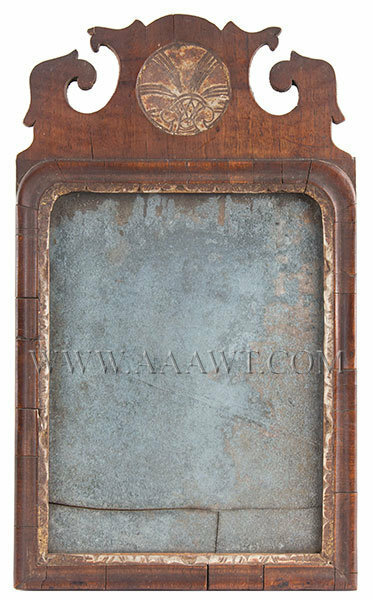 Measures 24.5-inches in height and 12.5-inches in width. 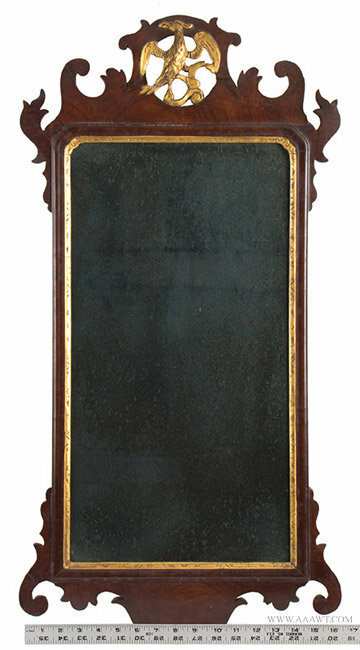 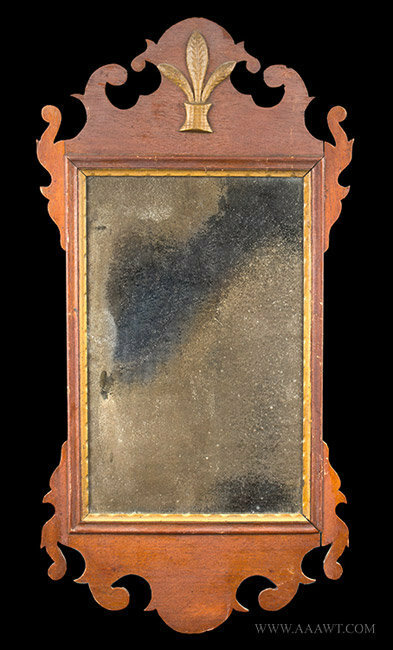 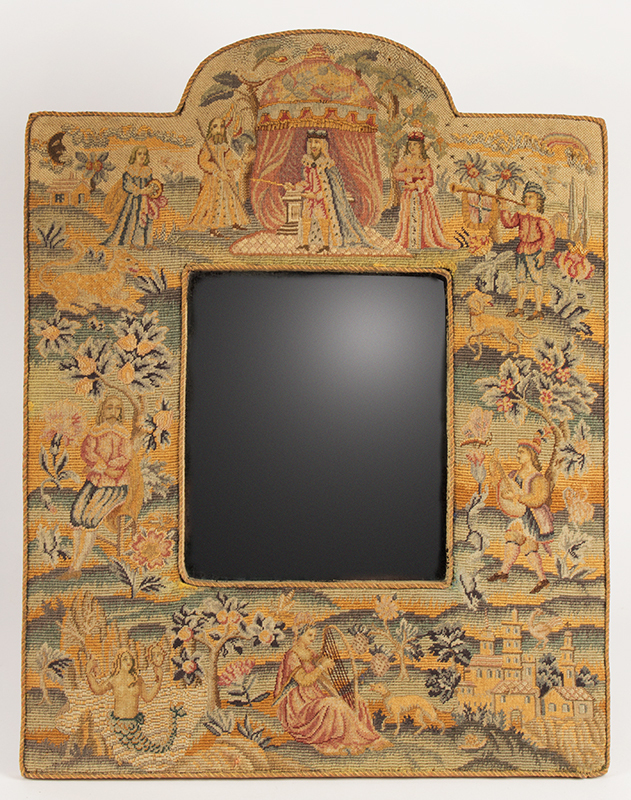 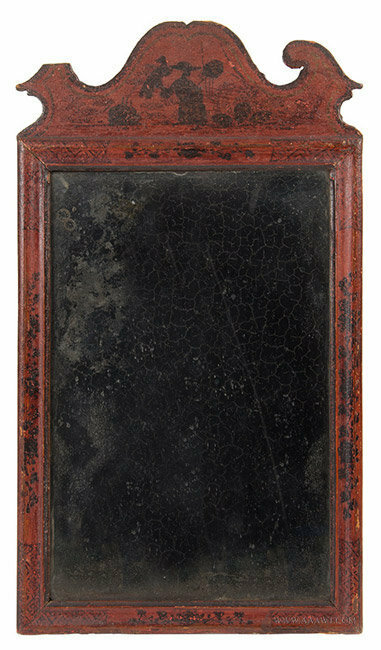 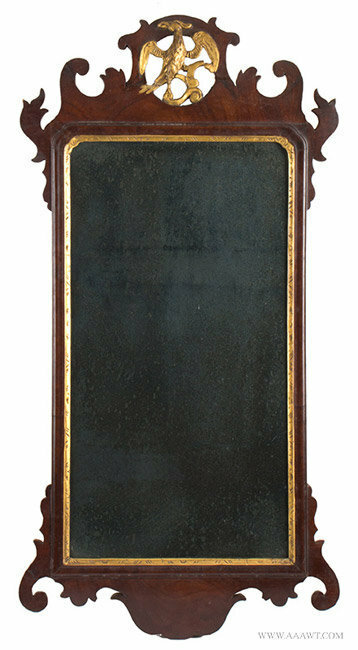 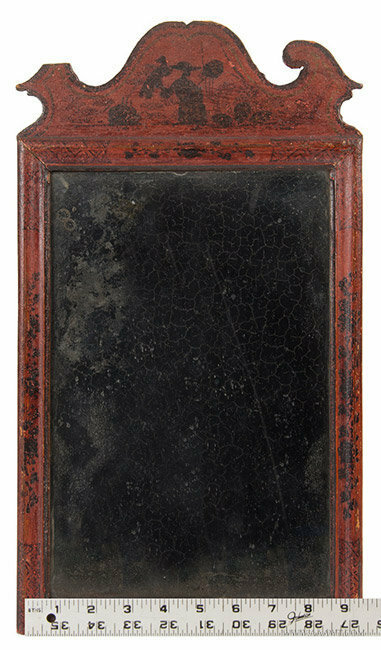 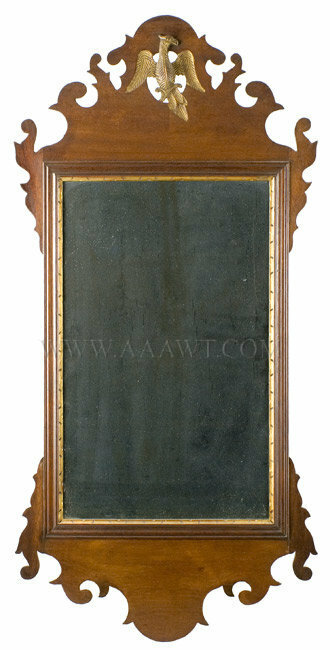 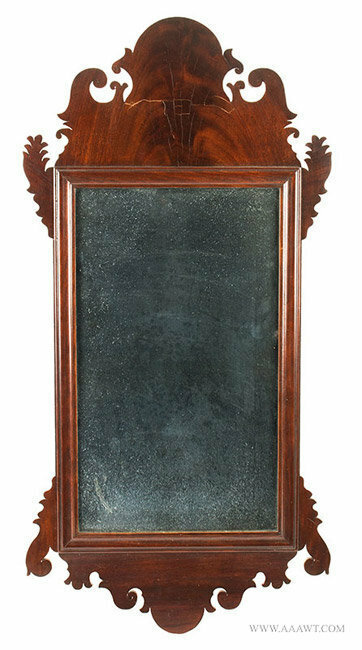 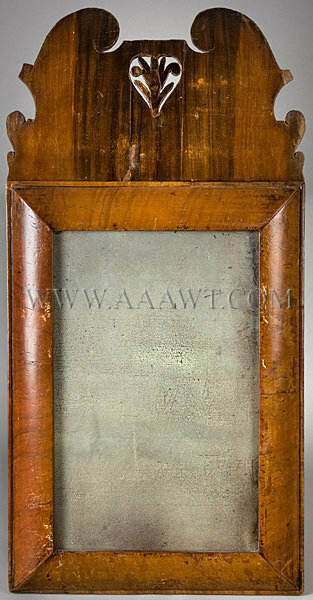 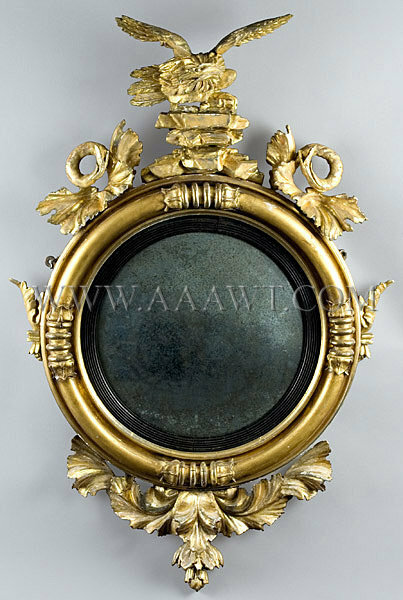 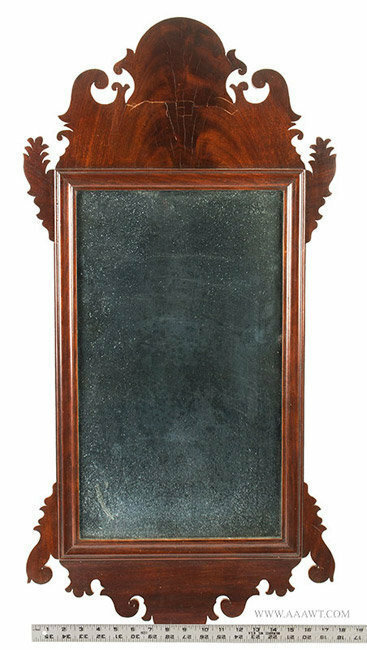 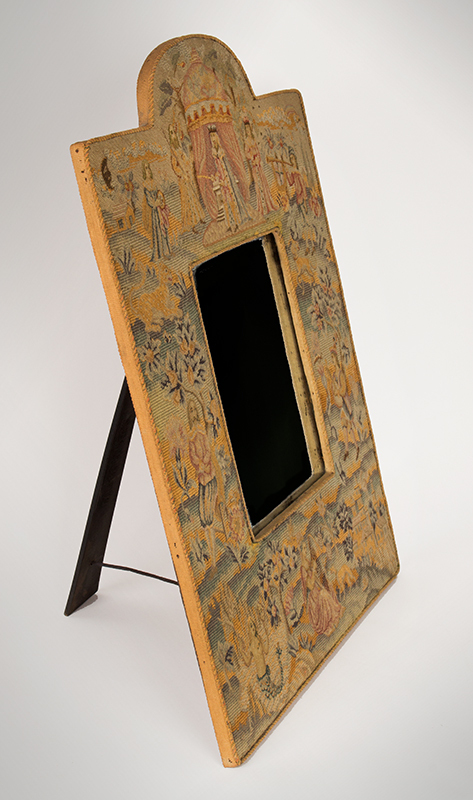 Mahogany, molded and parcel gilt mirror; scrolled frame with pierced cresting featuring carved, gesso, and gilt bird above the rectangular molded frame with gilt incised liner. 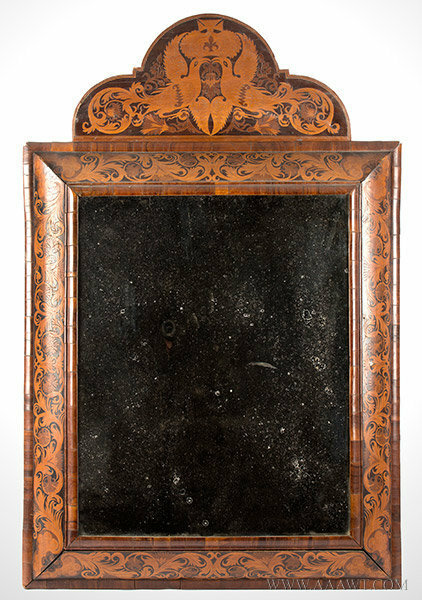 Mirror, Chippendale, Pierced Crest, Gilt Eagle, Original Plate, 38.5" by 18"
A finely constructed example featuring shaped and molded mirror frame with carved and gilt border-liner; the glass pivots between rectangular molded and tapered posts with urn finials on a rectangular case featuring molded top edges and two square drawers flanking a rectangular drawer. 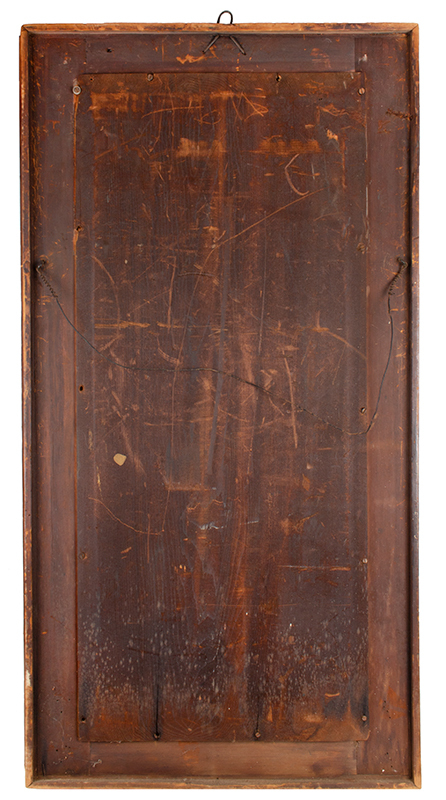 The case is raised on applied ogee feet. 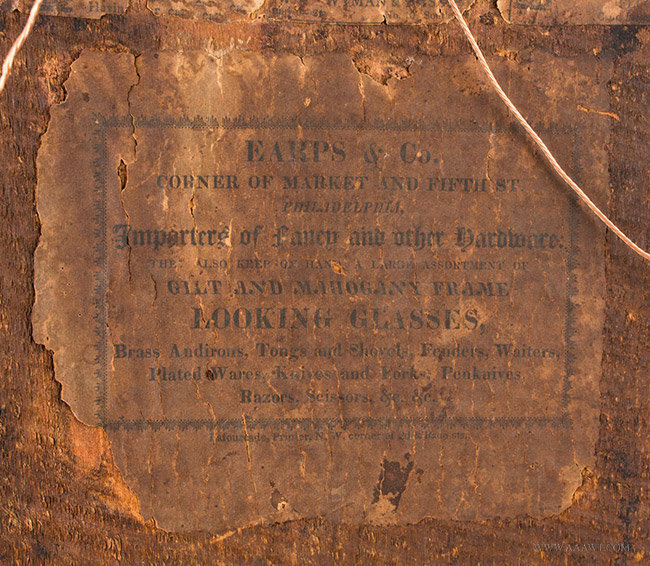 Minor imperfections, an attractive piece ready for use. 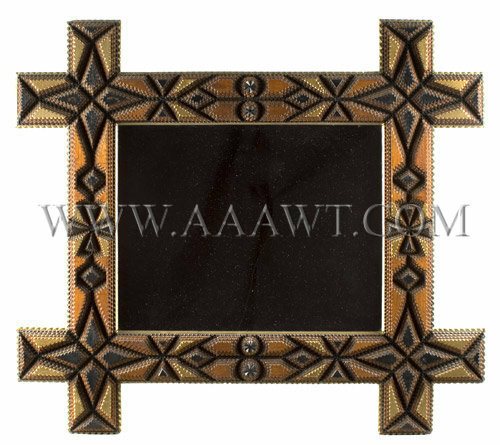 Dimensions: 22" H, 14.25" W, 8.5" D.
The concave frame receives the continuous round molding quartered with carved, gesso and gilt ring and foliate decoration. 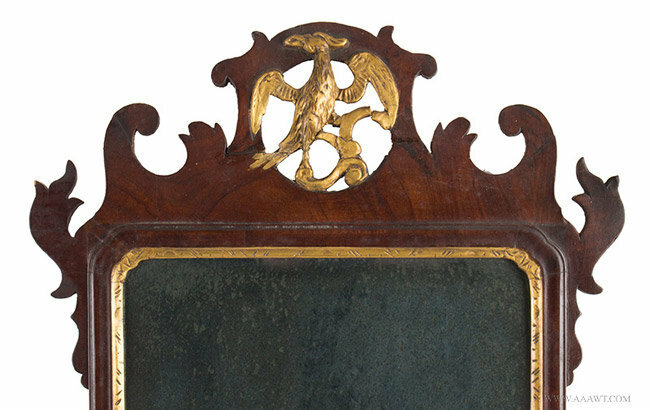 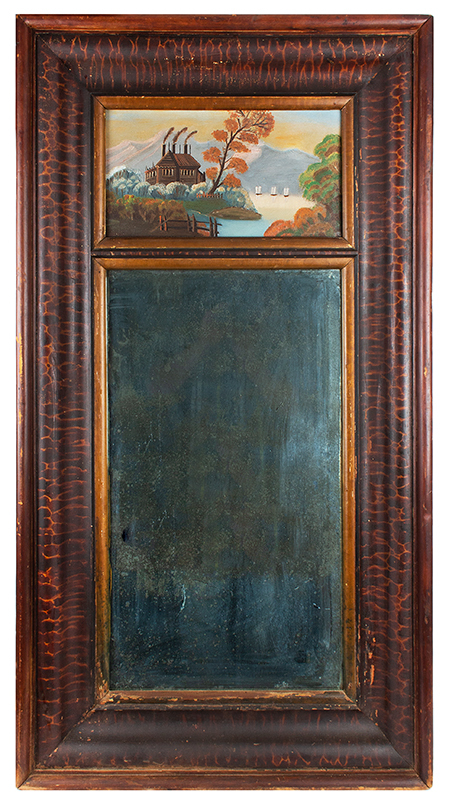 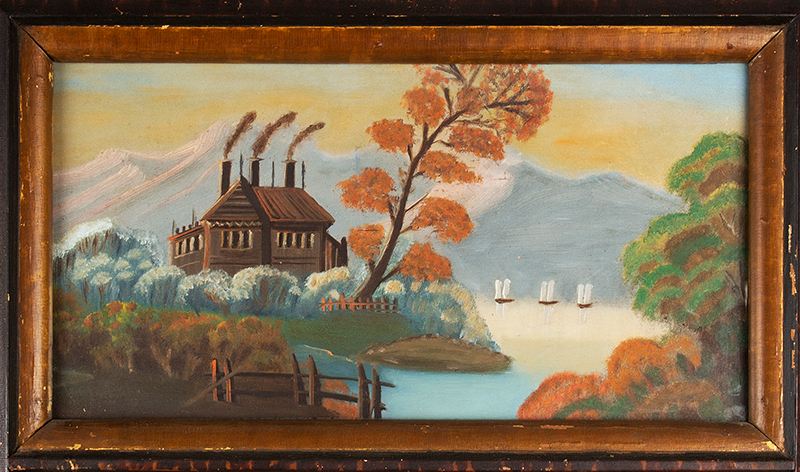 The frame is surmounted with an eagle on rocky-mount having sea serpent and foliate decoration balancing and completing the upper crest while perpetuating the marine theme as sometimes encountered. 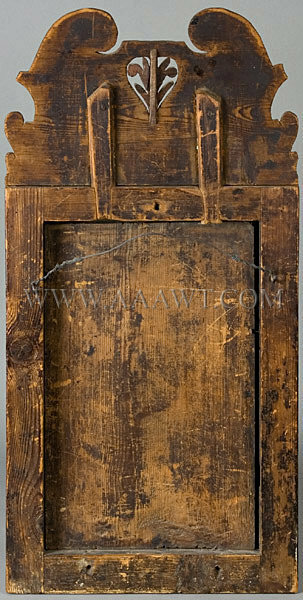 All elements including glass and backboard are original; great old surface with nary an imperfection sans a small crack that was long ago glued. 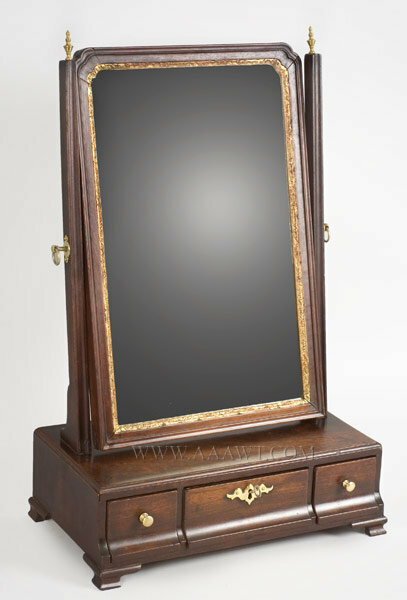 Height: 38.25-inches; width: 28.5-inches. 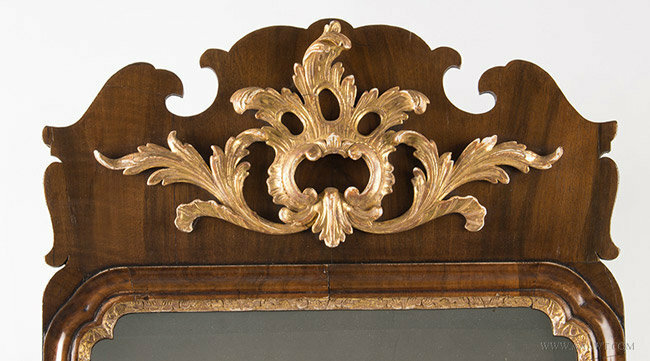 In mint condition with applied, gilded, ball ornaments set into the concave molding. 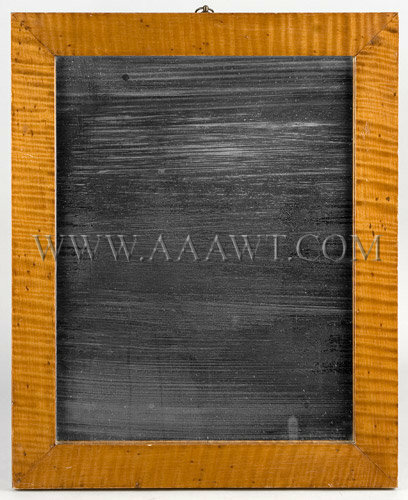 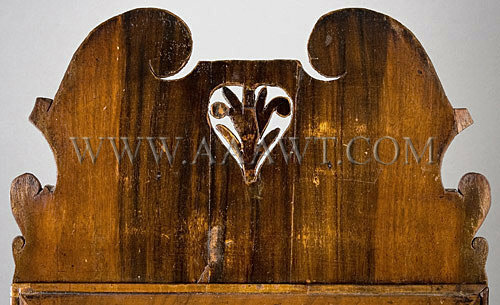 A good affordable example with a height of 48-inches; width: 29.75-inches. 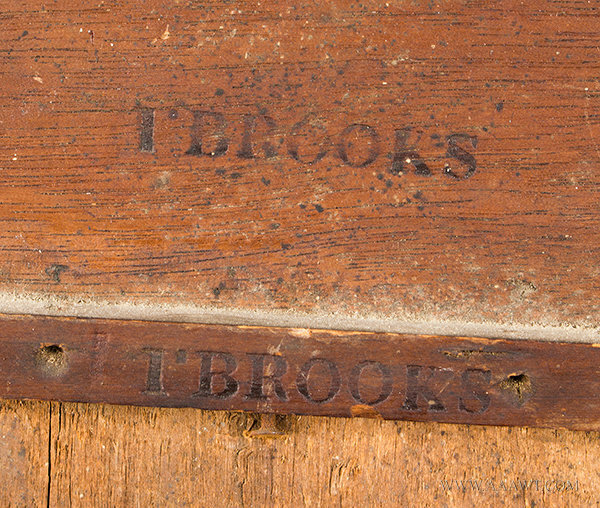 Crating and shipping is not a problem. 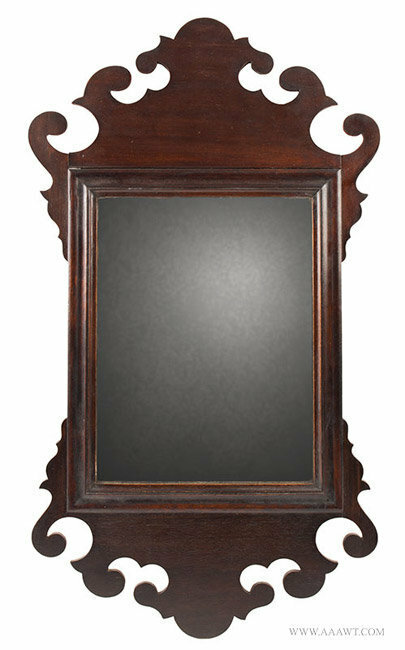 The depth of three-dimensional design and surface quality produce an exceptional aesthetic. 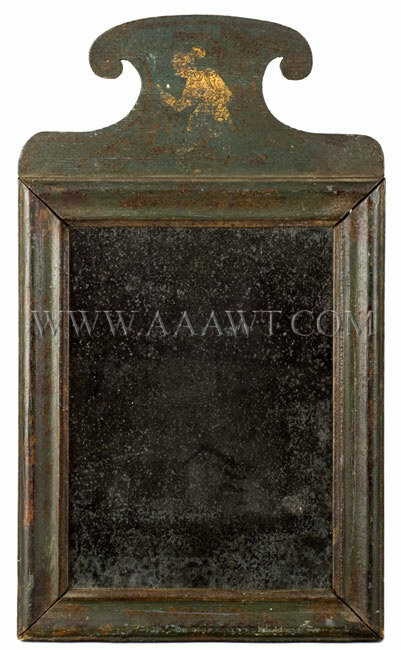 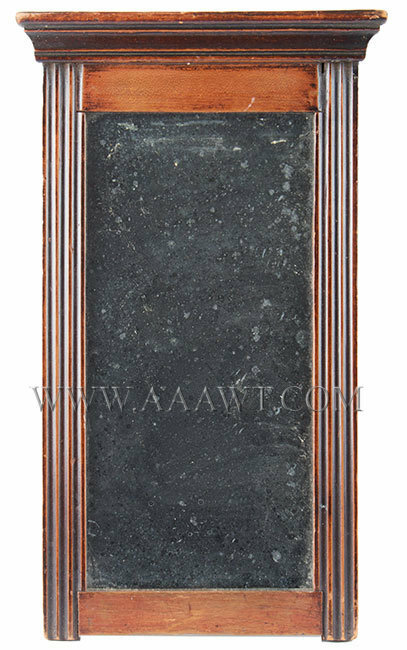 Rectangular hard pine frame with five-layers of notch carved tapered stacked elements. 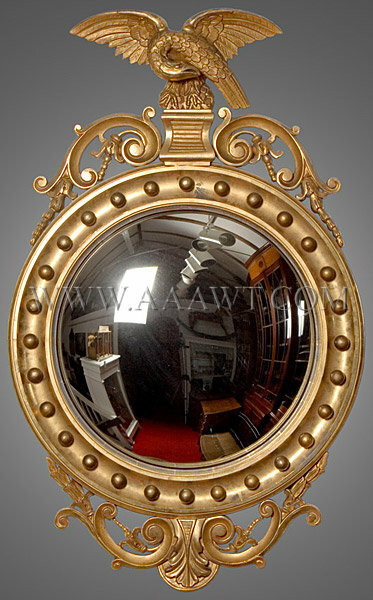 Finished in clear shellac with red tint, black and gold.